Can I Earn Money From a Motorcycle Accident? The short answer is “yes.” If you or a family member has been injured in a motorcycle accident that was caused by a negligent driver, you may be able to earn financial compensation for your medical bills, lost wages from missed time at work, pain and suffering, and more. However, the reality of personal injury litigation after an Orange County motorcycle accident is very complicated. In fact, we felt it was such an important subject that we wrote an entire book on the subject. You can download your own free copy of The Nuts and Bolts of Litigating a Personal Injury Claim to learn more or just speak with an Orange County motorcycle accident lawyer. In addition, the insurance companies representing the other side will not just cut you a fat check without fighting it. Insurance companies do not care about you or your family, and will use every trick in the book to keep you from getting the financial compensation you deserve. We have seen it countless times. To protect yourself from the insurance companies and to give yourself the best possible chance at recovering damages in the amount you deserve, you should strongly consider hiring an experienced Orange County motorcycle accident attorney to represent you in your case. There is no substitute for a strong voice leading your side. If you have questions about an Orange County motorcycle accident injury, we urge you to read our free book, or call us directly at (800) 268-9228 to schedule an appointment today. 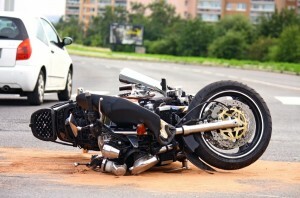 You can speak to an Orange County motorcycle accident lawyer and get solid guidance on the best way to move forward.